Westfield Shoppingtown Franklin Park is a hybrid style shopping mall located in Toledo that combines the best attributes of traditional fashion retailing with entertainment, alfresco dining, lifestyle concepts, and numerous customer service amenities. 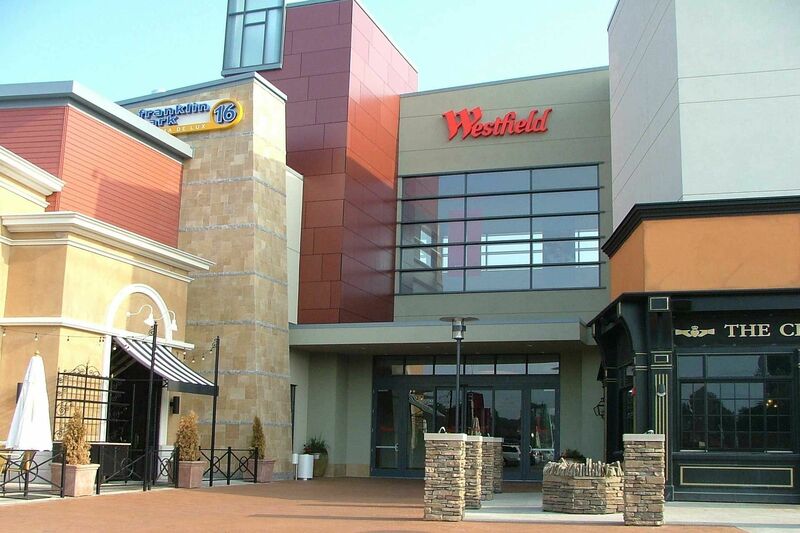 Westfield Corporation’s $117 million investment created the addition of 238,000 SF that combined with renovated existing space, produces over 1.2 million SF under one roof. Franklin Park’s new mall design is characterized by natural lighting from skylights (highlighted by a 32 ft by 32 ft pyramid center skylight), beautiful flooring materials from five countries, vaulted ceilings, multiple arches, numerous reveals, stone columns, finely finished commons areas that include soft seating, rich wood decors, and granite coffee tables. Family restroom complexes include baby changing stations, microwaves, entertainment for children, and curtained private nursing stations for mothers. The overall concept is to create the warmth and character of a home while allowing access to leading edge retailing and entertainment. OCP Contractors $13 million contract required simultaneous and/or overlapping construction in four key areas: 1) the mall addition 2) the 16-screen National Amusements theater 3) the existing mall remodel 4) a significant portion of the leased store additions. Our work started August 15, 2004 and concluded prior to May 6, 2005 (the Grand Opening). At its peak 85 carpenters, 25 finishers, and 30 plasterers worked on site. The winter produced near record snowfalls and made completion of the 170,000 SF of EIFS a true challenge. Interior work was characterized by an extreme volume of simultaneous daily activity that put a premium on efficient scheduling. Long hours by our on site project manager, continuous two week look-aheads, proper matching of foreman skill sets to work scope, willingness to handle multiple extensive changes with little notice, scheduling split shifts, and careful material planning were all critical to OCP’s successful contract execution.